Today was a special day here on campus. We had the author of "SEAL of Honor, and parents of Lt. Micahel Murphy - a Navy SEAL, on campus today. They were here to sign the newly released book, which is already one of the best sellers. Lt. Micheal Murphy was awarded the Medal of Honor for putting his life on the line for his country and ultimately making that sacrifice while trying to save his men during an attach in Afghanistan. Both the father and the author spoke tonight at a dinner to explain leadership and what it means to fight for your country. It was both a moving and motivating speech and glad the i got the opportunity to meet the family. The following is the story of what happened and why he was awarded the medal. This brings to light the realities of war, and reminds us that each soldier is fighting for our freedom. 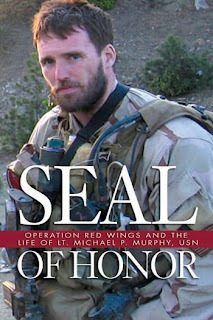 On 28 June 2005, Navy Lieutenant Michael P. Murphy led a four man special reconnaissance SEAL team consisting of Gunner's Mate 2nd Class Danny Dietz, Sonar Technician 2nd Class Matthew Axelson and Hospital Corpsman 2nd Class Marcus Luttrell to locate Ahmad Shah, a notorious Taliban leader in the remote Hindu Kush Mountains of eastern Afghanistan. After an initial infiltration to begin Operation Red Wings, local goat herders stumbled upon the team's hiding place. Unable to verify any hostile intent from the herders, Murphy ordered them released. Shortly after the herders left, the team was surrounded by a large force of Taliban fighters. 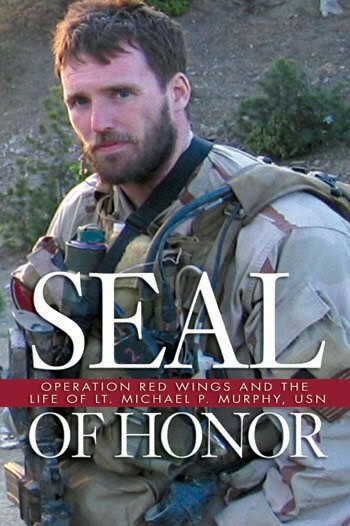 After about an hour and engaged in the most fierce fire fight since World War II and the most fierce in SEAL team history, LT Michael Patrick Murphy, in a last ditch effort to save his men knowingly stepped into the line of fire to obtain reception for his cell phone in order to call for reinforcements. One of the two rescue helicopters sent in response to Murphy's call was shot down killing 8 navy SEALS and 8 Army "Night Stalkers". Marcus Luttrell was the lone survivor and gave a detailed briefing to military leaders that resulted in LT Michael Patrick Murphy being awarded this nation's highest military award, the Medal of Honor. 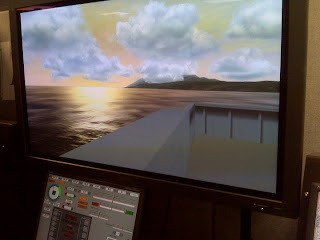 Somewhere between coming back from sea, focusing on sea year exams, and sharing the coveted sea stories with friends, updating the blog got lost in translation; but i'm finally back. Things are again back to normal and the last trimester of 3/c year is going pretty well for the most part. All the basic classes are done and we are now begining to learn a lot about the field we will be entering after the next two years. 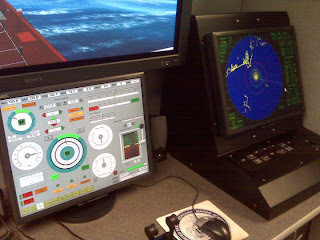 I am taking a logistics management class, tankers class, cargo operations/ship stability class, and ship handling. It is all pretty neat stuff, and includes playing with simulators once a week. The weather is finally getting beautiful up here in the North East, winter has left the building - at least for now. So far that is what i have been up to, here is a vide to leave you with, it includes man pictures taken from around the world! ENJOY!